Rosneft, Russia’s biggest oil producer, said Tuesday it more than doubled its net income last year, taking advantage of the climbing price of crude despite instability in the markets, AFP reported. The state-run oil giant reported a net income of 549 billion rubles ($8.4 billion) in 2018, up from 222 billion rubles the previous year. Revenues increased by 37 percent year on year to 8.2 trillion rubles. 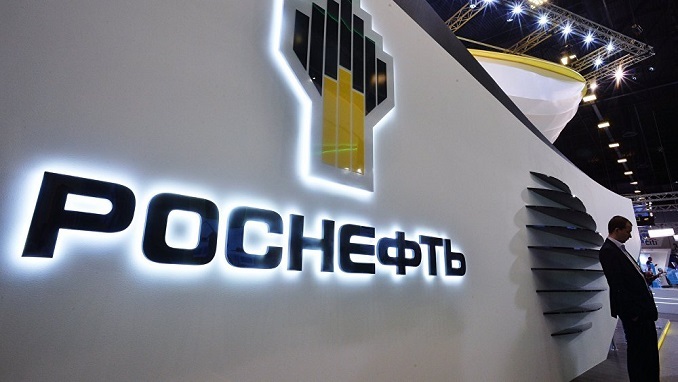 Rosneft cited “favorable world price dynamics,” caused in part by capping of output agreed with OPEC cartel countries, as well as improved company efficiency among the reasons for its increased revenue. The firm also said it was keeping an eye on the political crisis in Venezuela, where it has been a major investor in the country’s struggling economy over the past few years. “The company continuously monitors projects in Venezuela realized with its participation,” the statement said. Rosneft’s investment in exploration and production in the country is now threatened as President Nicolas Maduro’s rule hangs in the balance. The company’s partner in the Latin American country, state oil major PDVSA, has been put under U.S. sanctions and owes Rosneft $6 billion. Rosneft also paid an advance of $1.8 billion to the authorities of Iraqi Kurdistan, according to company financial results, which called the payment a contribution to a new joint pipeline project.